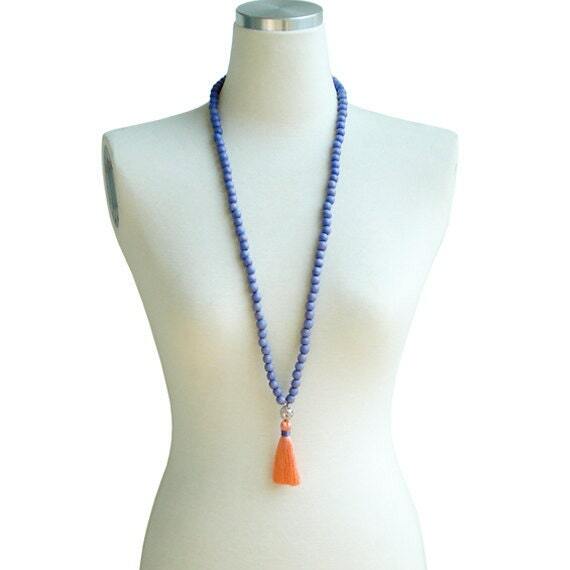 This Beautiful Tassel Necklace is a Bold Statement piece! A simple Wooden beads combined with Tassel strung together to bring unique statement to your look. This necklace has been designed with no clasp as you can easily slip it over your head.